If you’ve been to a cinema in the past two years chances are you’ve watched one of the many films coming out made in 3D. And while the quality – or the actual point – of the 3D on show can vary wildly from film to film, the reality is that 3D is here to stay. Get Your Goggles Out for 3D... Genuine 3D! 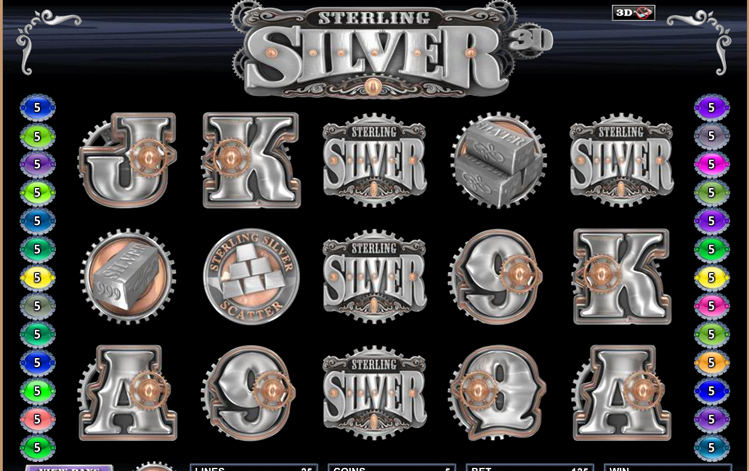 One of the new 3D releases is slot developer Microgaming’s Sterling Silver, which although rather lacking in colors, does pile on the 3D effects when you slip on the special specs. The game is a 5 reel slot with 25 pay-lines and the reels have a proper Wild West feel to them, with the symbols seemingly ‘embossed’ in silver. As well as the 9-through-Ace symbols we get bars of silver, with the stack of silver icon the top payer at 1,000x your line bet. 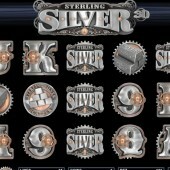 The Sterling Silver logo acts as the Wild and substitutes for all regular symbols other than the Scatter. When the Wild appears you’ll receive a random bonus multiplier of anything from 2x to 10x. Not only that, it appears stacked on reel 3 to give you bigger wins. Three silver coins Scatters, meanwhile, triggers a free spins round when three of them appear on reels 2, 3 and 4. You’ll bag a win of 10x your total bet plus 15 free spins, and all wins are doubled during the free spins round. With online gaming heading into a more entertainment-based realm, we can expect more real 3D slots to emerge. For a start this is pretty good. And if you’re after more regular 3D gold-related fare on the slots, check out a couple of top: the Wild West-themed Black Gold from Betsoft Gaming or NetEnt's explosive gold-digging slot, Boom Brothers.